Making Math Fact Practice FUN! 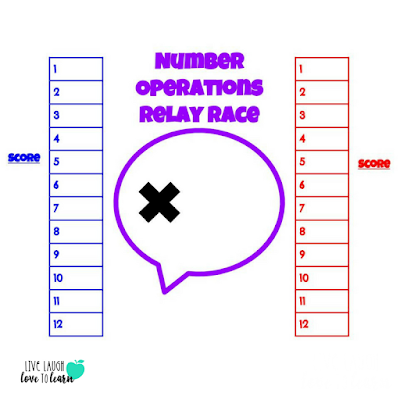 I am ALWAYS looking for new and fun ways to help my students practice math fact fluency! 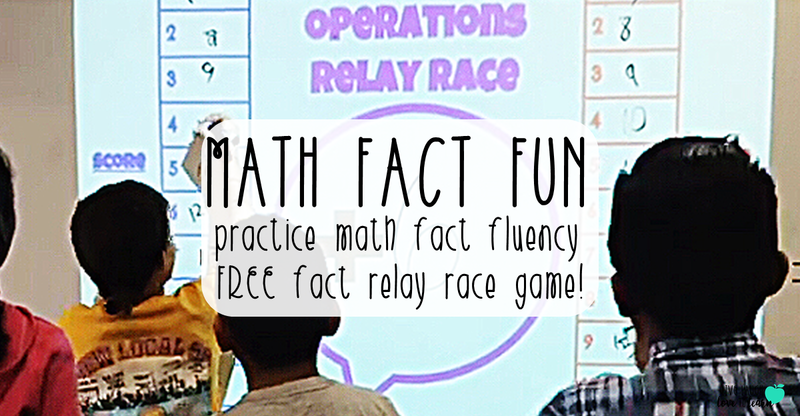 Last year, we began doing Math Fact Relay Races. I listed the numbers 1-12 on the board and made 2 of them. In the center of the board, I wrote the operation and a number. To make my life even easier, I created a Google slide that I can just pull up and project on the board any time we have a few minutes to play! 1. Divide students into two teams however you like (my students really enjoy girls vs. boys). The number of the students on each team does not have to be the same but it should be fairly equal. 2. Each team lines up in front of their side of the board - the blue team and the red team. 3. Give the first person in line for each team a dry erase marker. 4. Use a dry erase marker to write a number in the x or + bubble in the center. 5. Students take turns filling in a box on their side with the answer! For example, if I wrote a "3" in the x bubble, students would find the product of 7x3 and write 21 in the 7 box. 6. Once a student answers a question, they go to the end of the line. 7. The first team to answer all the problems from 1-12 correctly, wins a point that I tally on their side. 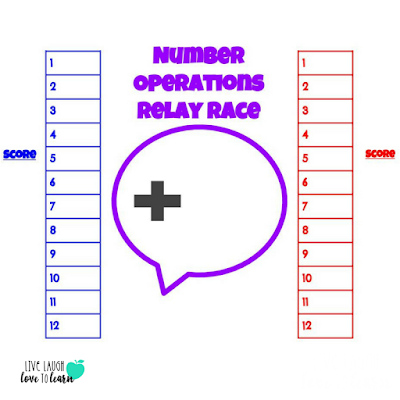 I encourage teams to help each other with the answers since the goal is to have students learn the math facts. My students LOVE to play this game and we play it any time we have an extra 5 minutes or when I think my students need to get up and move a bit. 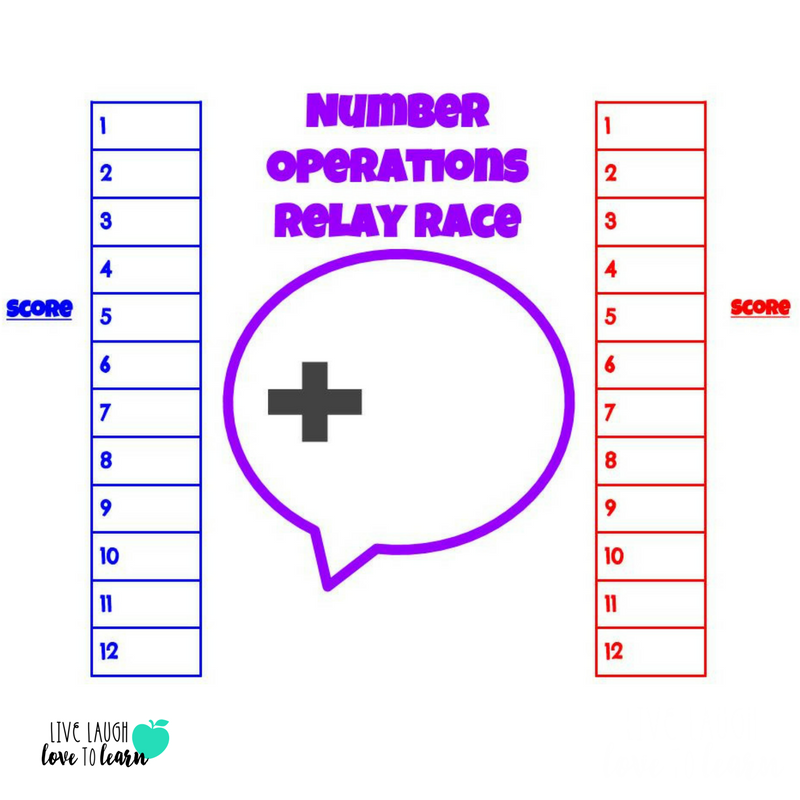 When one relay race is finished, just erase the number and the answers and begin another race. 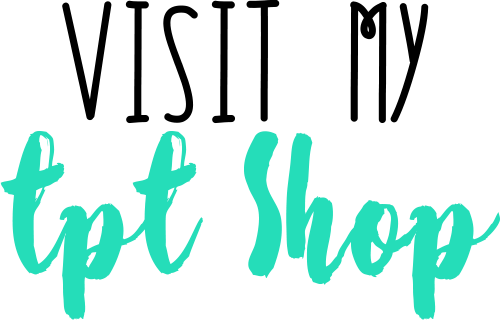 Just for stopping by, you can grab a free copy of my Google slide file! Just click HERE, and you will open up a link and be directed to create your own copy! There are two slides, one for addition and one for multiplication. When I clicked on the link it took me to a page to request access. I would really like to try this. I love your in-homework idea too. Hi Heather! Thanks for stopping by! I fixed the link and it should work now. I'm so sorry. I hope your students enjoy the relay race game!